Could you tell me about your childhood? Where were you born? Is there anything about your childhood that stands out for you? I was born in Accra Ghana and grew up in Kumasi. I had a challenging childhood due to divorce of my parents. I grew up with my grandmother who took care of my over 15 kids and I until I was 17. In spite of the challenges, I knew the only way to escape poverty was through education. Then I was a very smart kid. My grandmother raised us in the Lord. She inculcated in us the fear of God. I never did what back then was considered typical boy behaviour, or what one would say “locker room” behaviour. We went to church every Sunday. I knew God loved me and that was enough to keep me focused as a child. Was there any person or persons that influenced your childhood the most? There were many people who impacted me greatly growing up. My mother, my uncles and my grandmother. However, my grandmother particularly shaped who I would become. I was not fortunate to have mentors outside of my family. Of course, there were none in the village I grew up in. Like many immigrants in Canada, I have been fortunate to have some level of graduate education. I hold a Bachelor of Education degree in Population Health from University of Cape Coast, Ghana, and dual Masters degrees in International Development and Environmental Studies from Ohio University in the States. 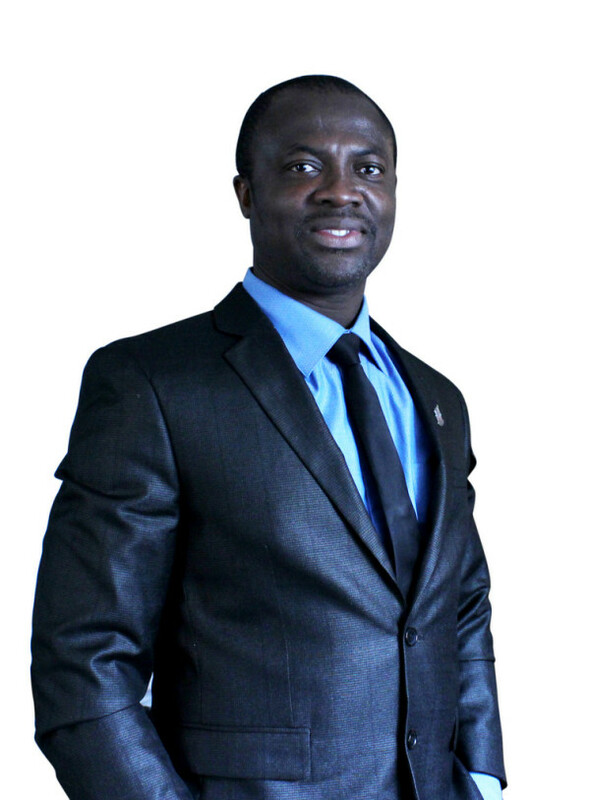 I am also a Certified Project Manager and a member of the Project Management Institute. Above all the paper qualifications, I also hold a certificate from the institute of fatherhood. I am father of three and that is more education than anything I could have attained from school. Could you describe your day job as African, Caribbean and Black (ACB) Community Developer with the Somerset West Community Health Centre? As a community developer, my job is to work with partners and service providers to address issues of social determinants of health. Whilst, I do not have a typical day at work, some of the things I do are those aimed at improving access to services for the ACB community. I work to build the capacities of service providers to be able to deliver culturally appropriate services to the ACB community. I also spend considerable time writing grant proposals and developing programs that benefit our community. One such initiative was the Aspiring Entrepreneurship project that was funded by the City of Ottawa. You have also been working to bring together leaders of African community organizations in Ottawa. What is the goal of this project and how is it going to date? Yes, my goal is to help bring all the African and Caribbean country associations leaders together for the simplest of reason- there is strength in unity. This is not a job for me, it is a mission. We need a voice and we need representation. We cannot achieve that without coming together as black leaders. We need to be able to support one another. So far the African Country Associations are coming together one member at a time. We now have 34 African Countries that have signed up as members of African Canadian Association of Ottawa. It started with just two-country association leaders- Nigerian and Ghanaian with Somerset providing organizational support. The group was launched on June 27, 2016 at the City Hall. Country association leaders and ambassadors as well as some community members were there for the launching. One of the major projects undertaken by Somerset West Community Centre is your outreach to Canadians of African descent living with HIV/AIDS. Why did your centre undertake this project and what have been its successes and challenges? It is true Somerset has been at the forefront with the fight to reduce HIV infections and to reduce HIV related stigma. Our outreach services are not targeted only at people living with HIV, but the general ACB community. What we offer is more of preventative education than providing support to people living with HIV. We refer people living with HIV to partner organizations for support. It was a concern and still is a concern that 1 in 7 people living with HIV is African, Caribbean or Black. Meanwhile, only 1 in 35 people living in Canada is African, Caribbean or Black. This was the main reason Somerset decided to become involved almost 20 years ago. The program has been very successful, as more and more people are getting tested to know their status. Many faith leaders have been involved in this incredible journey to educate our people about HIV and how to prevent it. Stigma is still a challenge to HIV prevention and that is why working with faith leaders has been rewarding. We are working to ensure we have zero new transmission of HIV in our community. 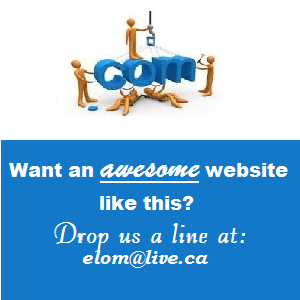 You are also the Coordinator of the Ottawa Service Providers’ Hub. What is the origin and mandate of this forum and what have been its successes and challenges? The idea to have a hub predates my time at Somerset. It started with the very first ACB Health Symposium for service providers that Somerset organized with partners. The Service Providers’ Hub now has 118 members. The Hub has been organizing the February Health Symposiums annually. Working with the Hub leadership, we were able to secure funds to run the Aspiring Entrepreneurship workshop. In spite of the modest success of the Hub, lack of resources has stifled progress in terms of having more programs and events. We are still prospecting for funding to run the Hub effectively. You make use of volunteers as part of your outreach to the African, Caribbean and Black communities. Can you comment on why it is so difficult to get people to commit to volunteering, to give back, so that those who are vulnerable and disadvantaged can prosper. I am thinking of those who are well established in jobs or businesses, who can readily invest a few hours each week or month to mentor our youth, serve on not-for- profit organizations and so help our community move forward. Godwin, you have asked a million dollar question! I wish I could give you a straightforward answer on this one. Our programs rely heavily on volunteers to succeed. Over the years, we have been fortunate to recruit some volunteers from the community to help us deliver our programs. Most of our volunteers are students and we are happy to work with them. We are grateful for the work they do in our community. However, as you rightly said, it has been difficult to recruit well-established members of our community to volunteer. I personally think it is not that people do not want to volunteer. Some, I guess do not know how their skills and experiences can be beneficial to the less fortunate of our community. Others I think do not know where they could be of help. The main reason there is seemingly lack of interest on this subject I guess is our upbringing. Most of us came from countries where volunteerism is not an everyday vocabulary. We never thought about the value of volunteerism. The second generation Canadians of ACB descent is more likely to volunteer than the first generation immigrants. We need to change this practice. We all have something good to offer and we have to encourage members of our community to volunteer. I believe a little bit of education and motivation will go a long way to resolve this problem. Looking at Canada’s black population, there seems to be a divide between African and Caribbean communities on the one hand, and Anglophone and francophone communities on the other. Do you agree with this perspective and if so what can be done to remedy this divide? I believe we cannot solve any problem we have not identified. The African, Caribbean and the Black (ACB) communities have unique problems, which often go deeper than our obvious linguistic differences. It is not uncommon for people from the same country, united by language and culture to be divided along tribal and ethnic lines. Working with country associations, I am privy to some of the internal politics that have stalled progress in some of the associations. With that said, I agree there is an obvious divide. We have to understand it is impossible to move forward, without cutting the cord that is holding us back. I believe we haven’t made much progress as ACB people in Canada because we tend to focus on our differences rather than our commonalities. The fact that we all identify as blacks should in itself trump our language and geopolitical differences. Our history, I believe, should unite us here in Canada and if we can bury our differences and unite in Ottawa, it will have a monumental effect. I believe we can do this for our children and our children’s children. I believe bringing our leaders together is one step forward to addressing this problem. Bringing especially Africans together by blurring the language divide will make it easy for bringing Caribbean and black Canadians together. Let’s make small investments in this; it will pay a good dividend to the next generation. Over the years, have you seen any change in the status of the black population in Canada? Are we any better off now than say, ten or fifteen years ago? I do not have data to support my response to this question. I believe there is slide downwards not upwards. Youth unemployment is a major issue that is driving this. I look at this segment of our community and think things are not getting better. There are some segments of our community which claim that black men do not respect black women and vice versa. They suggest that we tend to defer to other races when we interact with them, especially white Caucasians. Do you agree with this perspective? We live in Canada where men and women are equal partners. I believe there is mutual reciprocal respect for black men and women in Canada. I don’t think we are doing badly in this regard. Certainly there is always room for improvement in our relationships but I do not think we value other races than we do among ourselves. Looking at the Black population in Canada, what do you see as our greatest challenges and how do we resolve them? What are our strengths? Black population is about a 3% of the entire Canadian population, but we are over-represented in many areas that are not good. We are over-represented in the prisons system for example. We have a very high unemployment rate and as a result we are over-represented in the welfare system. We have a greater number of people stuck in public housing in poverty-stricken drug infected neighborhoods. It is getting worse by the day in Toronto especially. Systemic racism and institutional barriers have combined to rob many of us our facility to press forward. Unemployment has become a cancer that is eating us up. Many people, especially men, are becoming depressed after many years of unemployment and underemployment. However, I believe the problem also present us with some opportunities. Some of these opportunities can become glaring when we work on our mindset. I believe in terms of our strengths, since the days of Martin Luther King Junior and the many freedom fighters before him, our inner strength has been our tremendous asset. We are resilient people. The resilience spirit our Creator has endowed us with has been sufficient to push us forward. We do not give up easily; that is perhaps our greatest strength. Most of us have a chip on our shoulders and because of that, we cannot fail in spite of layers of odds stacked against us. I want our youth to know, they have come too far to give up. They should maintain a positive mindset and be grateful for even the tiniest of opportunities. I see the light at the end of the tunnel. 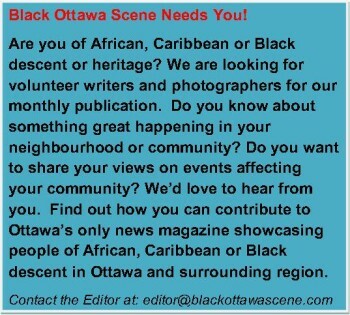 Black Ottawa Scene has come to stay. 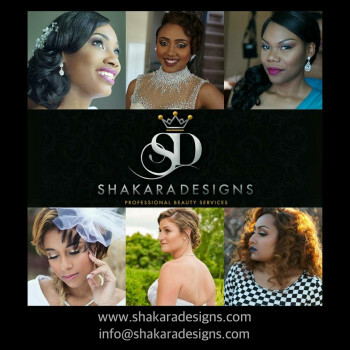 It is the most authentic source for black related news and events. Readers can support this by buying ad space on the website. We should also share this online magazine with friends and colleagues. That will drive more traffic to the site and make it self-sustaining. Thank you Godwin for pioneering this online magazine. I also appreciate the work of your volunteer reporters and columnists. 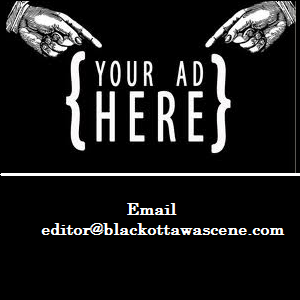 Let continue to read and support Black Ottawa Scene. I will also take this opportunity to thank all the African Caribbean leaders and members working tirelessly and selfishly to brighten our community. I am also grateful to all the faith and community leaders and members of the ACB family I have had the privilege of working with, in various committees and networks across the City. May you continue to be the light in our community shining brighter and brighter each day. Great article Hector. Written from the heart. Congratulations. I hope that African, Caribbean and Black Canadians are listening.